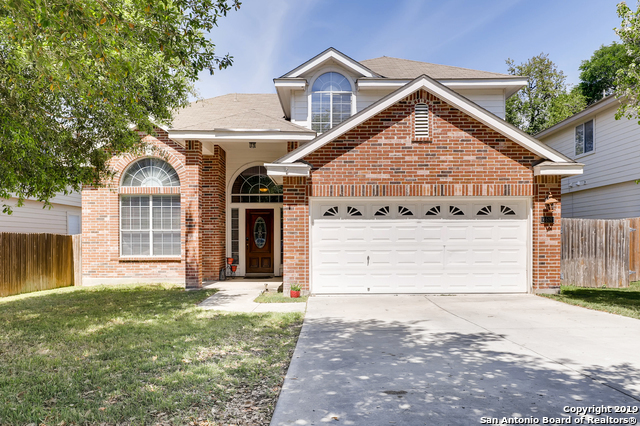 All STEUBING RANCH homes currently listed for sale in San Antonio as of 04/26/2019 are shown below. You can change the search criteria at any time by pressing the 'Change Search' button below. "Immaculate 5 bdrm, 3.5 bath home in desirable Steubing Ranch community! No detail overlooked- gorgeous wood floors, vaulted ceilings, fresh paint throughout, bright and cozy fireplace, grand staircase & solar screens. Open kitchen w/ granite, 14' bar height counter, island, rich wood cabinetry & pendant lighting. Plenty of space w/ 2 living areas, 2 dining areas & all very large rooms. Location! Location! Cul de sac lot, close to 1064, 35, Ft Sam, RAFB & a new HEB! See today!" 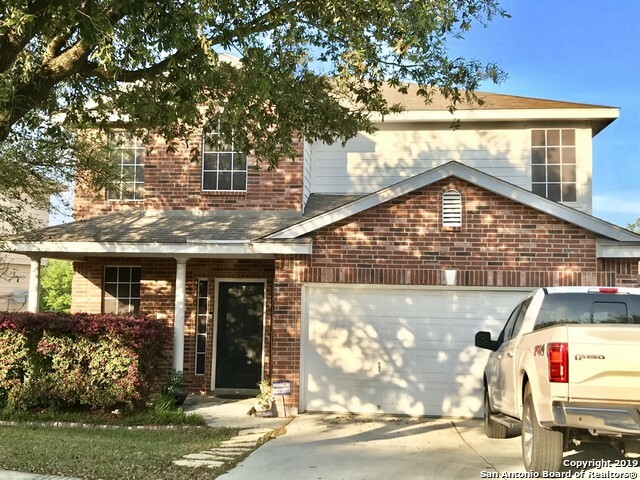 "AWESOME... OPEN FLOORPLAN W/ UPDATED COLORS THRU OUT, Laminate wood flooring in living/dining room, tile in entry/kitchen, wood blinds throughout. VERY RELAXING LG. MASTER & WALK-IN CLOSET, SEP. TUB&SHOWER. AMAZING DECK & covered patio OVER LOOKING GREENBELT. AC WAS REPLACED...OWNER SAYS SELL!" "Beautiful two story home in the prestigious Steubing Ranch Premier subdivision. Spacious living room and master bedroom downstairs. Master bedroom with split tub and shower and walk in closet. Make your way upstairs to enjoy a huge game room. Cozy back porch that gets shade no matter the time of the day. Schedule your showing today." "Wonderful curb appeal at this single story 4/2 with solar panels!!! The home is very spacious and has no carpet. The wood look tile makes the home very easy to love. Popular Samsung appliances in the kitchen that overlooks the living and eating areas. All the bedrooms are placed perfectly along the side & then down a hall to the master retreat with large tub and separate shower. Don't miss the covered deck backing up to green belt in the back yard." "Beautiful move-in ready home in Steubing Ranch. Open floor plan, high ceilings,4 bedrooms, 3 & 1/2 bathrooms and master bedroom down. Large kitchen with island and stainless steel appliances. Upgraded lighting throughout. Gameroom upstairs with charming fireplace. Spacious secondary bedrooms. Large backyard with deck and storage shed. Mature trees front and back. No carpet downstairs or on the staircase." "Beautiful well-kept home sitting in a cul-de-sac, high ceiling at Entry, Open floorpan concept, laminate wood floors, neutral colors throughout, formal dining room, granite counter tops, Backsplash and LED Undercabinet Lighting, stainless steel appliances, newer A/C, Extended Hardscaped Patio, newer hot water heater, newer water softener, newer roof, Oversized backyard with side area, shed with 200 sqft storage space, The neighborhood has a recognized COP program that patrols the neighborhood ev"
"THIS HOUSE IS A STEAL! Being offered below value. Only on the market for a limited time! 4 Bedrooms, 2 1/2 baths, 3 living areas, spacious master suite, small greenbelt behind. Beautiful, resilient new flooring downstairs, updated light fixtures, custom solar shades, new water heater in 2016, lightly lived-in and ready for new owners to love. Meticulously maintained. Desirable NEISD schools, easy access to major highways without the noise. Community amenities include pool and playground, and su"